Join the Town of Pulaski in the Kick-Off Meeting of Downtown Planning on Wednesday, October 26, 2016 at 6:00 p.m. in the Historic Pulaski Train Station. Meet the consultants selected for the planning efforts. Learn more about the project timeline and tasks to be completed. 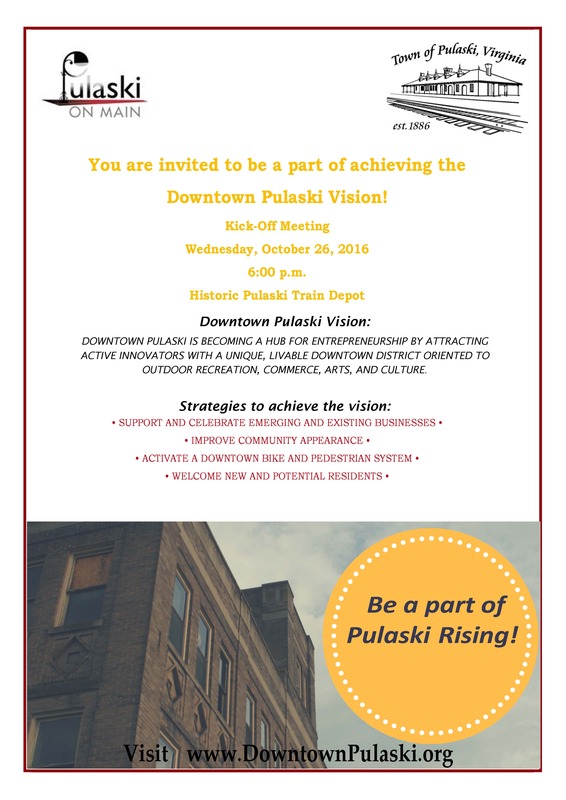 Most importantly, be a part of the process in achieving the Vision for Downtown Pulaski. 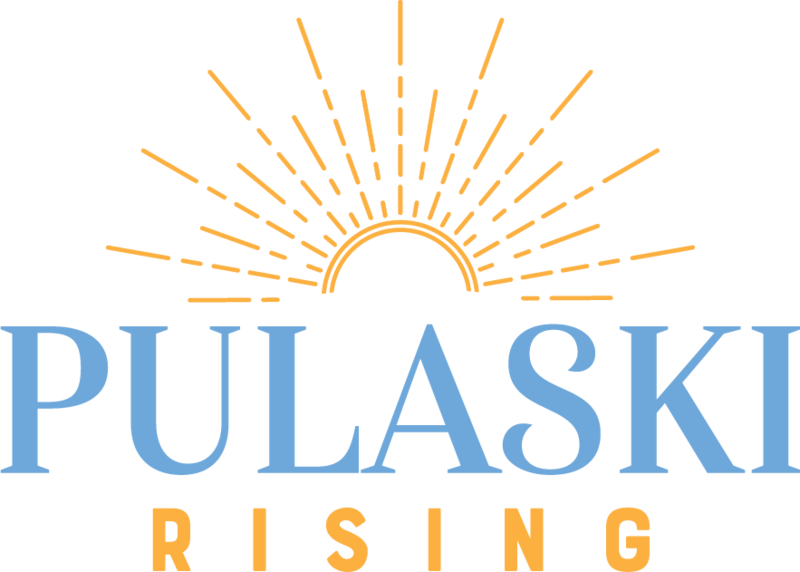 ← Pulaski on Main Unveiling: Friday, October 7, 11 a.m.